Paula Davidoff is a writer and storyteller who uses myth, folklore, and song to intertwine past with present, magic with reality, and literature with life. A professional teller since 1994, she teaches workshops, residencies, and staff development training throughout New Jersey. Since beginning her storytelling career, Paula has developed and taught storytelling and writing programs for teenagers at risk. She is the director of Telling Our Stories, a storytelling-based literacy program at Frelinghuysen Middle School in Morristown, and co-director, with Carolyn Hunt, of Girls Surviving, a troupe of teen actresses who tell their stories through writing and performance. In 2006, a program Paula designed and taught for Storytelling Arts at the Mercer County Youth Detention Center received the Connie Strand Memorial Award for excellence in programming from the NJ Juvenile Justice Commission. Paula received her BA from St. John's College in Annapolis, MD, and her MA in Literacy Education from Rutgers University. She has studied storytelling with Susan Danoff, Laura Simms, and Diane Wolkstein. 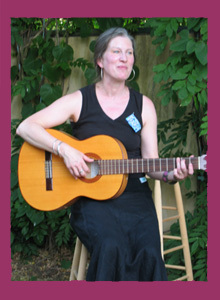 She is certified as a residency artist by the NJSCA, and is affiliated with Storytelling Arts, Inc.